The top 100 Australian plant species at risk of extinction have been identified by Threatened Species Recovery Hub research. 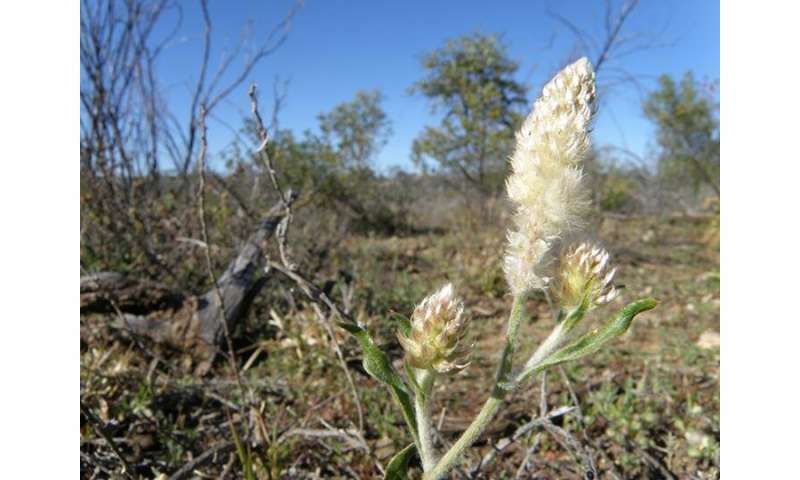 University of Queensland researcher Dr. Jennifer Silcock said three quarters of Australia's threatened species were plants. "Knowing which plants are at greatest risk gives us a chance to save them before it is too late," Dr. Silcock said. 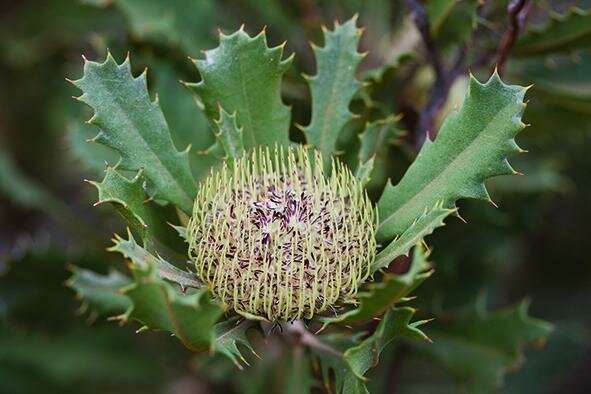 "This list of Australia's top 100 imperilled plants will help conservation managers prioritise where to direct efforts to prevent extinctions. "Without action future generations will not have the blue top sun-orchid, pretty beard orchid, hairy geebung, yellow mountain bell or matchstick banksia." The research has been published in the Australian Journal of Botany, and is based on a review of available published information and interviews with 130 botanists from across Australia. Ground orchids topped the list with 15 species making it into the top 100. UQ researcher Dr. Rod Fensham said the research team also identified the major threats driving species to extinction. "Many plants only remain in small isolated patches, which usually miss out on a lot of important natural processes like regular fires, meaning that fire-dependent species are not regenerating," Dr. Fensham said. "Introduced plant diseases like phytophthora and myrtle rust are pushing 18 of the plants on the list towards extinction. "We are still learning the best way to control these plant diseases –research is underway and will be vital to minimising the impact of these diseases on Australia's unique flora." 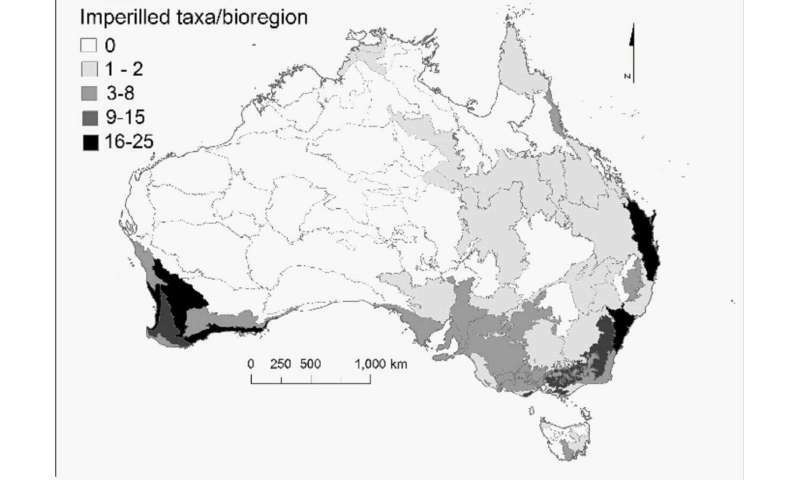 Historic and ongoing habitat loss is the major threat to Australia's plant species. Other threats increasing the risk of plant extinctions include grazing and trampling by livestock, native and feral animals like rabbits, climate change, weedy grasses and mining. "The good news is that all of the species on the list can be saved – we have the techniques required, we just need the commitment," Dr. Fensham said. "Seventy-one of the species are already on the national list of threatened species, for the remaining species applying for formal conservation listing will be an important step in their protection. "The fate of these species depends upon support and action from governments and the community. "A bonus will be that the actions required to save these species will also benefit many other vulnerable plant species." Australia's Threatened Species Commissioner Dr. Sally Box said the research was important to ensure action was informed by the most up-to-date scientific evidence. "Work is already underway for several species identified on the list, be it through targeted investment under the Threatened Species Strategy, or through the efforts of the Australian Seed Bank Partnership," Dr. Box said. "My office will continue to work with our partners and the Australian community to protect Australia's unique native flora."